My name is Xerx’ses and because of a flail my stepfather made me I chose the surname “of the Golden Flail” or later I appended it to “Goldenflail.” During the day I was killed once by an Algor Frost Giants and later by a Gromek. 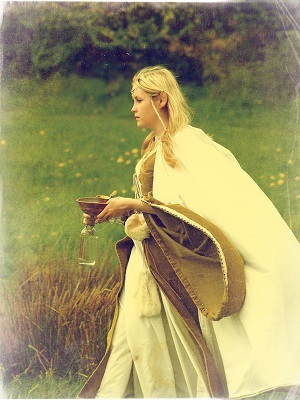 I lost his gift to me, the Flail of Prayers in the Baalgor Mountains. So named for the 8 prayers to the Pantheon of Ra engraved upon the three heads shaped to resemble eight-sided obelisks found in ancient temples of the gods. I grew up for the last 51 years in the Dwarven Fort called after my tribe’s name: Etrinan in the Rocky Desert of the Baalgor Wastelands. I grew up thinking the world was still on fire from what people today call the Elf Dwarf Wars or The War of the Fair and the Strong as the ancient books call it. I learned magic from from Dwarf Tomes and live among 30 odd collected rune weapons. When I saw my first Hoomans I thought they were deformed Elves from those scarred by the great conflict. I hope what I have been able to convey is my world and that of my tribe which has been nearly wiped off the map of the known world by the minions of the Pantheon of Taut. Was very different, both my mother and father worshiped to their dying day Osiris and Isis, since they were husband and wife so my parents chose their celestial patrons that mirrored their love for each other. I am blunt, but not without the ability to sharpen for a purpose. If I offend you please remember how different a world I come from. Tell me please, what I have done and what surface folk would have done in your society. I will endeavor to respect your customs and traditions to the best of my ability. I do hope to meet you one day closer than the last time I saw you. I was the second Hawk sitting on Master Cava’s shoulder when CrIsis visited Timiro, just before the current King came to power and the assassin known as Walrue met his end. Well on to the current situation hunting down the Right Hand of the Lawbringer from a powerful Tezcat Necromancer in the Yin-Sloth Jungles on the 12th of Grekar. We found ourselves still within the first of many caves slogging through multiple days of killing undead, skeletons, and the occasional angry Tezcat warriors. After sending off our second Necromancer we had the chance to examine her power circles that were active in a matrix for a short time after her fleeing via magic. Soon we heard a rumbling in the tunnels and it seems that magic was used to close or fill a crevasse we had to cross a way back by Tezcats that attacked us when we were sighted. It took killing half of them to make the others flee. We gave pursuit and found ourselves in a 100 ft deep pit that had plant life over grown throughout. Even one tree we saw grow up and out that doubled as a jungle road of sorts. We chased those running into a new area < 100' shaft > that had flora growing in and around it. Several times trying to cross a mere 100 ft. we’re assaulted from well concealed assailants as skilled at hiding and sniping as the jungle can be green and dangerous! Were it not for Brother Indaris and his flail, Three Sisters of Dawn, more than just myself owe him for the ability to walk and talk after the native’s paralytic poison tipped weapons. It was not long before we found a totem pole made of skulls and painted black and white, which I remembered was the colors associated with Yin-Sloth,helped us understand the nature of these savages. Further attacks again so we were running for cover. 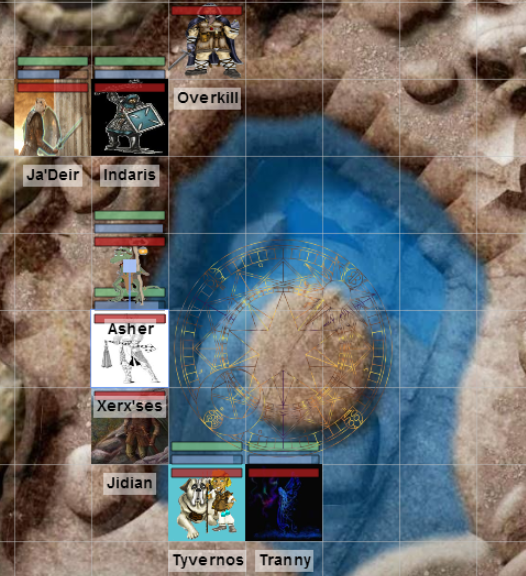 The last battle before making it across this sunken earth shaft was the most coordinated set of attacks and chaotic. I hate this jungle environment and the sooner I can get us all out of here the better I will feel for my friends and I. The cave system we have only made it into briefly but more undead which Master Tyvernos and I destroyed with mystical lightning blasts to the mining cart rails in this abandoned cave system. We finally broke for a rest in a new tunnel of this complex and I bet your bottom Timiro Crown this is not the last one! Needless to say we stopped for rest and to chat further about improving our performance. During our rest four magic pigeons arrive. The 1st pigeon was a letter from my Master at the Tri-Arcanum Guild, Master Kel-ed. The 2nd pigeon was a missive from the forces of evil showing how truly desperate they are. The 3rd pigeon was a missive from Father Philip about his battle at the shrine to Osiris. The 4th pigeon was your missive sent by the hands of the gods two days early! Sadly, the second note revealed that our good priest had gone and done something that hurt the group. They say the path to Hades is paved with good intentions and today looks like it added a stone to that road. Everyone began to calm down and channel their aggression constructively after I pleaded with my family not to hurt each other, for without this great quest I am just another monster people will fear. 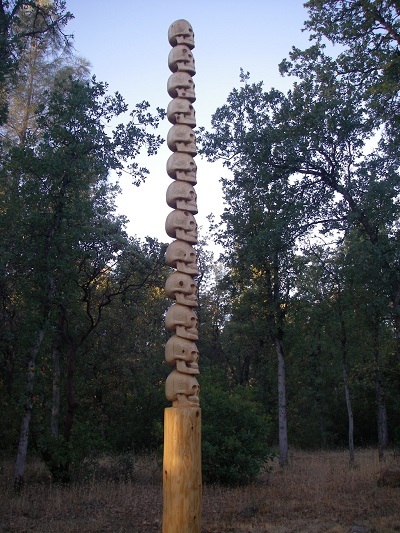 Skull Totem Pole, picture by Timbercovetiki.